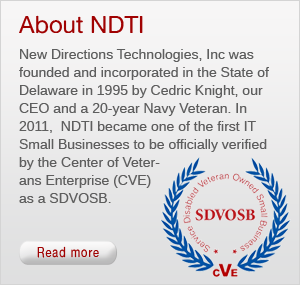 NDTI – New Directions Technologies Inc.
NDTI provides customers the edge in a cyber-world where adversary actions never stop. 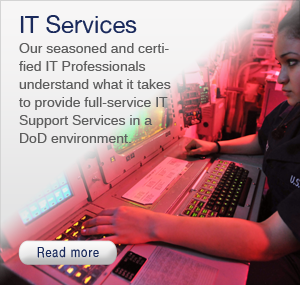 As part of our core competencies, NDTI’s cyber security workforce delivers the most advanced and integrated solutions across all domains for the military, civilian government and private industry throughout the United States. 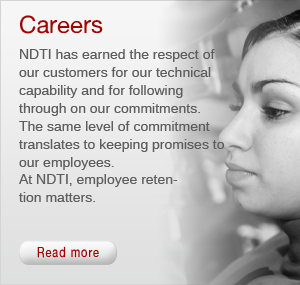 NDTI offers detailed systems engineering support and management services for DoD acquisition systems. Full life cycle support is provided for the technology development, acquisition, and sustainment of systems, including support for all phases and milestones of the acquisition cycle ranging from user needs, research to deployment, and sustainment engineering. NDTI enables the warfighter to meet dynamic requirements, enhance readiness, and continuously improve performance in 21st century combat arenas where critical challenges regularly evolve. Our core manufacturing and production capabilities encompass all facets of device production (thick/thin sheet metal, cutting/welding, milling/machining, environmental/special protective coatings, electronic/circuit board production, and energetic/chemical systems. We provide the full myriad of Information Technology, Information Assurance and Systems/ Applications Engineering Support Services using ITIL, ISO 20000 and 27001 processes. Systems extend beyond traditional program, command, and agency boundaries. The requirements, interfaces, and technologies are more complex in the new system-of-systems environment. 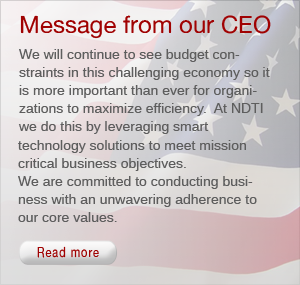 To accommodate changing requirements and the complexities that arise, NDTI delivers proven acquisition management strategies and complete operational support within the Naval Aviation Enterprise. 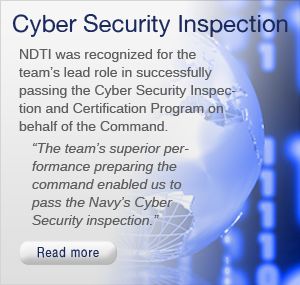 In May 2014, NDTI was recognized for their diligent, technical, and information assurance (IA) excellence in support of a week-long rigorous Cyber Security Inspection (CSI) conducted at Navy Surface Warfare Center, Port Hueneme (NSWC PHD).